Osborne Transformer is the world leader among custom transformers suppliers. 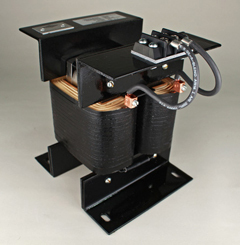 If your facility requires extremely durable transformers, you’ve come to the right place. Osborne’s transformer designs offer unmatched performance and longevity. In choosing Osborne’s extremely durable designs, you proceed with the utmost confidence in your circuit’s quality and longevity. This sense of security will free you and your team to focus on the things you do best. Do you want your customer to worry about how or when their safety isolation transformers will fail? Of course you don’t, because when safety isolation transformers fail, it’s always expensive and inconvenient! Just like Osborne’s partners, you invest great effort and hard work into your circuits. Don’t undermine your standards by choosing cut-rate commodity transformers. Be confident that Osborne’s unrivaled safety isolation transformers will be a great fit for your project. Contact Osborne’s engineers today and let them quickly prepare a preliminary design proposal — FREE OF CHARGE. You can trust Osborne’s no-nonsense approach. Specifying the ideal transformer will not be a complicated experience. You recall the fit of your first finely tailored suit? Your high performing circuits demand that same attention to detail. Osborne’s craftsmen are here to help.